Exclusive Offering for a "One of a Kind Home" nestled in THE " Prime Waterfront Community area of desirable Indian Rocks Beach Florida. Possible Pool Sized Lot. "Triple Mint Move-In Condition" home with many tasteful qualitative updates-Roof/2015, CHA /2016, Newer Windows, Hot water heater, Newer paint interior & exterior, Gourmet Kitchen, Master Bath with gorgeous tiled walk in Shower, Impact garage door, high quality interior/exterior ceiling fans, (2) Toto toilets, all superior solid wood doors & tasteful expensive hardware throughout entire home, newer top of the line flooring-bamboo, cork & tile, newer insulation...just to name a few. Tropical lush mature landscaping xeriscaped / Florida friendly with reclaimed water irrigation. Outdoor deck w/ superior quality IPE lifetime Brazilian hardwood. Plus outdoor speaker wiring. 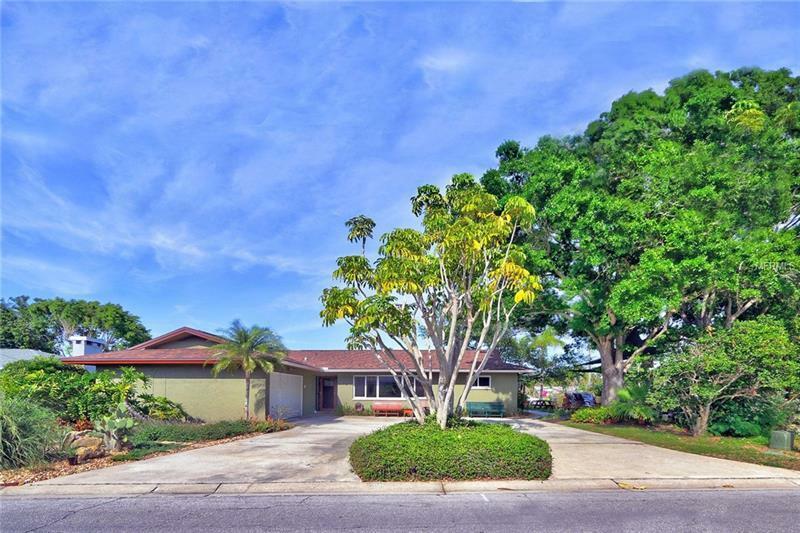 Spacious family room/screened lanai & covered porch area(s) include beautiful flooring, bamboo wood & Sapele hardwood exuding serene Tropical setting. Local amenities galore include wonderful & popular restaurants, medical facilities, nearby Brown Park with basketball & tennis courts, updated eco-friendly playground, covered outdoor picnic area, Beach Bus Trolley system. Gorgeous Indian Rocks Beach Sugar Sand & Sunsets just steps , Bicycle, Golf Cart ride away! Many Culturally Community sponsored events throughout the year. Make this Your Beach Home or Lucrative Vacation Rental Investment Opportunity! EZ Show! !